The Rocky Mountain Bighorn Sheep is found in the rocky mountains of the United States, and is the most majestic of the North American sheep. 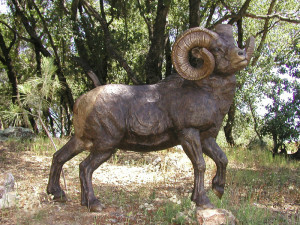 This sculpture is typical of the massive broomed-off horns they display. They stay in the high country until the cold weather drives them down in the fall of the year. 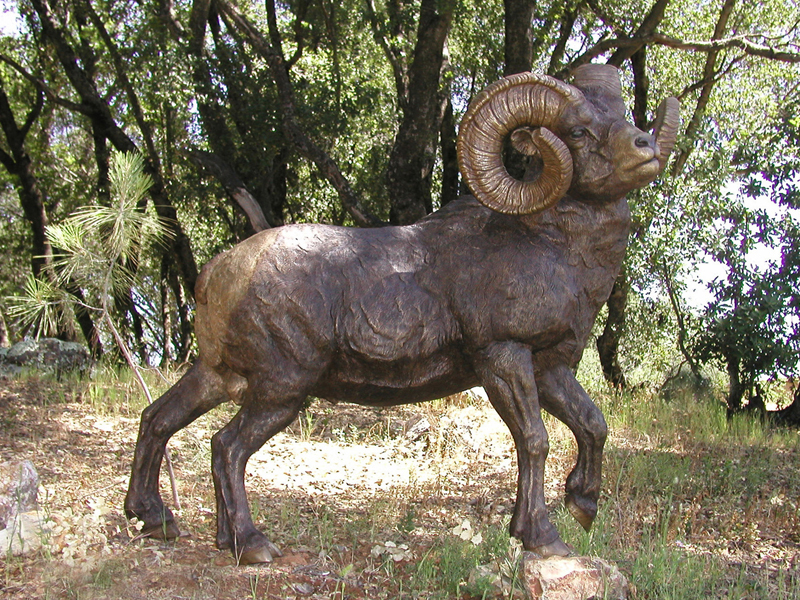 This Standing Bighorn is the perfect complement to the Bighorn Sheep lying in the rocks, and they make a beautiful display as a pair.